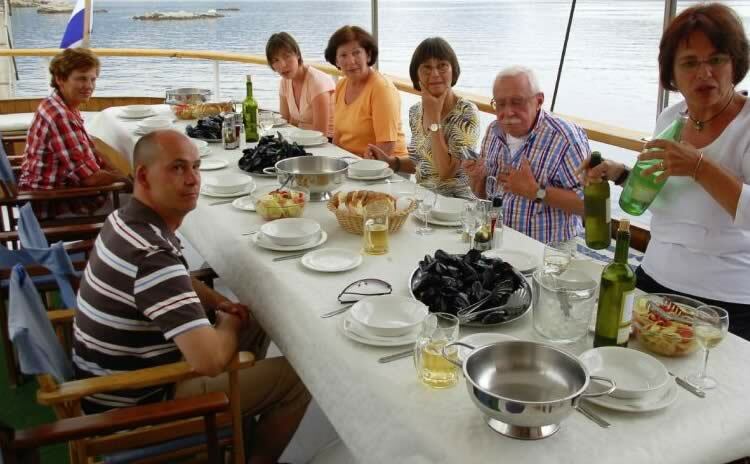 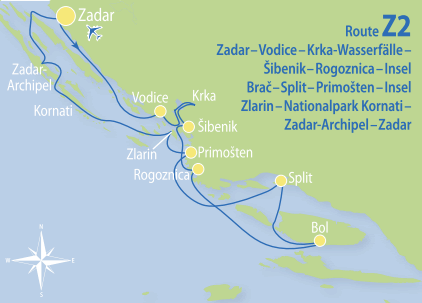 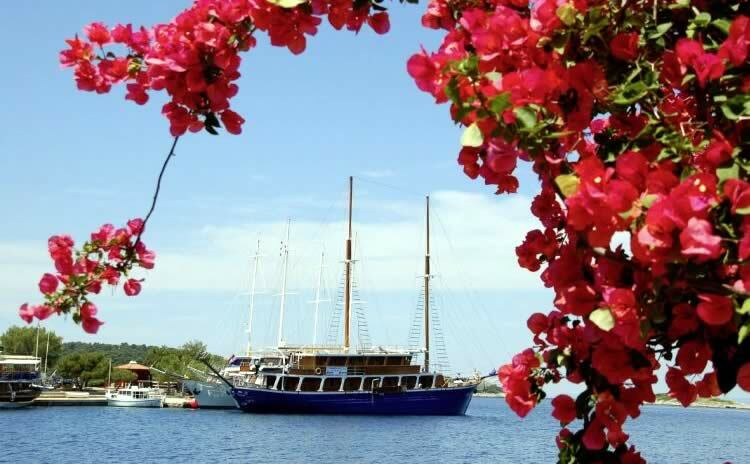 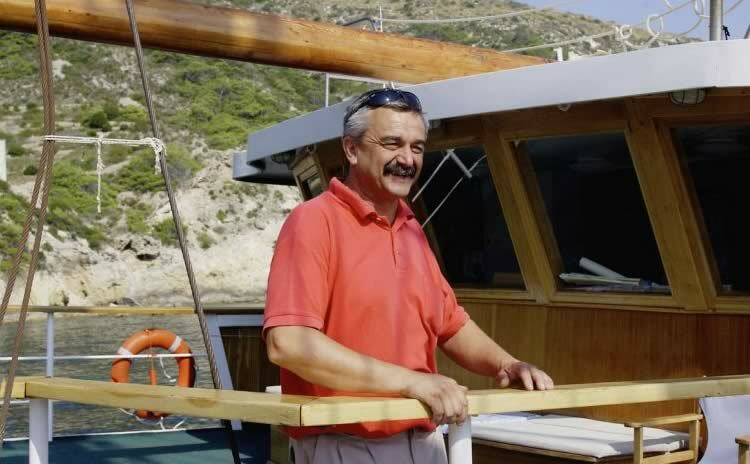 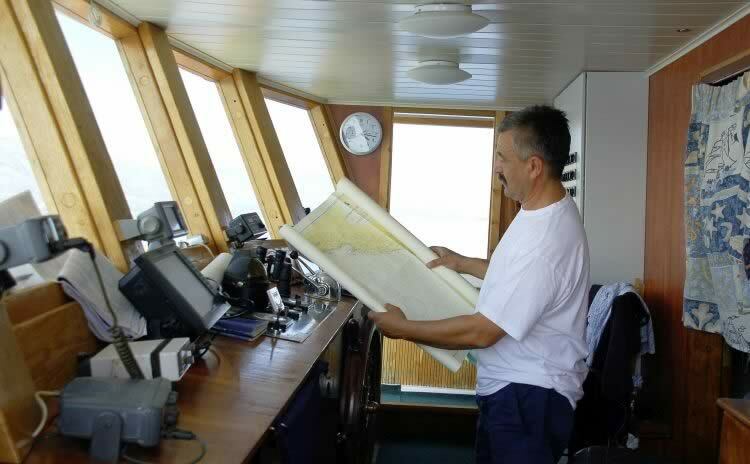 For many years, captain Damir Kordić stood together with his younger brother Joško at the helm of the boat MS Vila and sailed their guests through the enchanting island world of the Kvarner Bay. 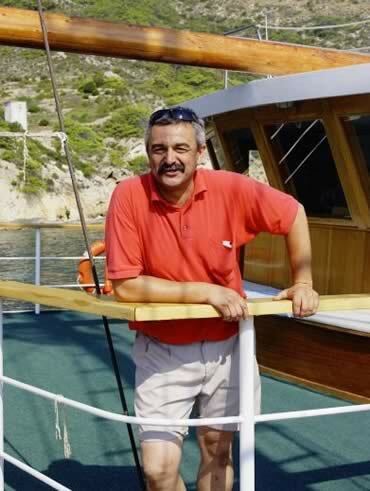 A few years ago, he decided to buy a bigger boat and thus, the big search began. 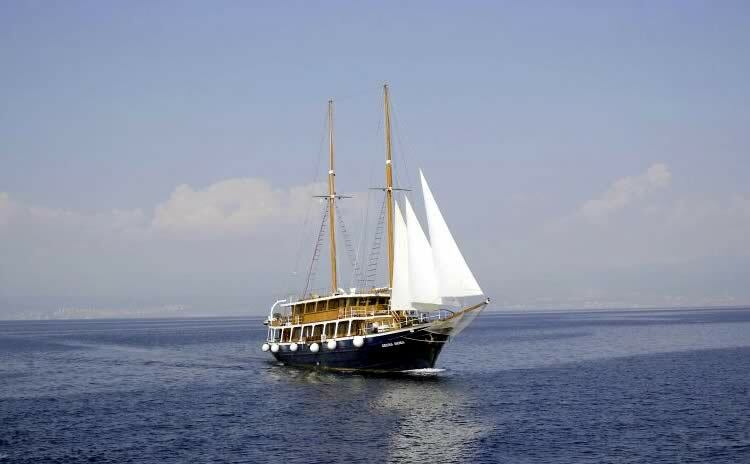 In Greece he finally found what he was looking for – the Kruna Mora (the ”Sea Crown” in English) which is, with the length of nearly 44 metres, not only the largest, but also one of the most comfortable wooden vessels in our fleet. 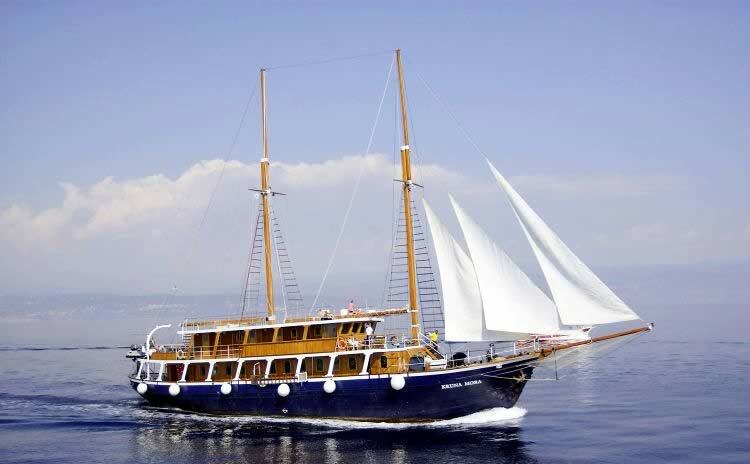 General data: Length 43.75 m, built in 1964, renovated in 2000 and in 2007. 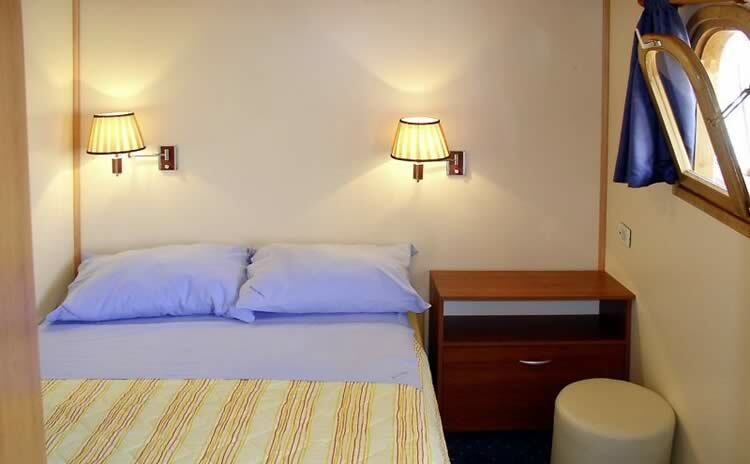 35 beds in 16 cabins with shower/toilet and individually controllable air conditioning. 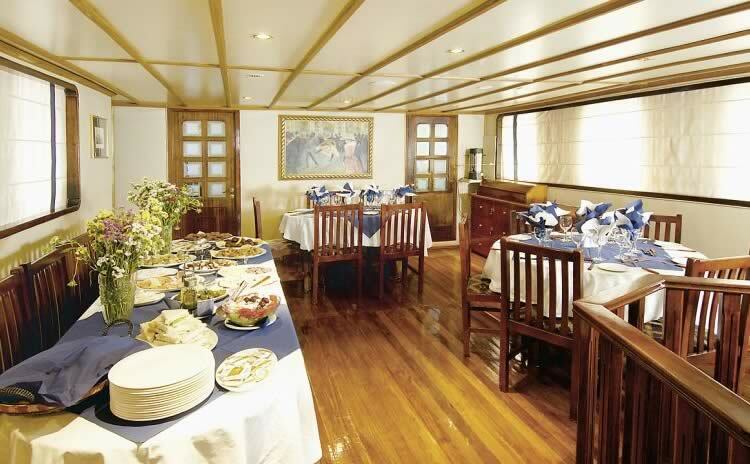 Cabins on the lower deck are a bit larger than those on deck, cabins on deck are equipped more up-to-date. 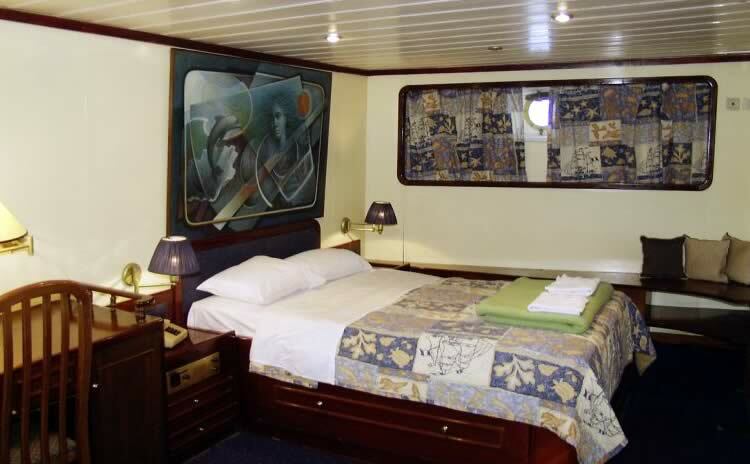 Lower deck: 1 quadruple cabin with queen-size bed and 2 separate beds (for children up to 13,99 years of age), 1 triple cabin with queensize bed plus separate bed, 1 triple cabin with separate beds, 4 twin cabins with separate beds, 1 single cabin with a queen-size bed (width 125 cm). 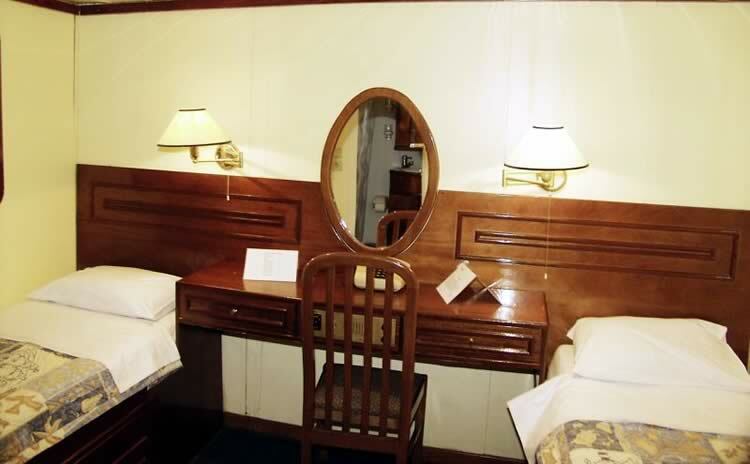 Main deck: 2 twin cabins with sep- arate beds. 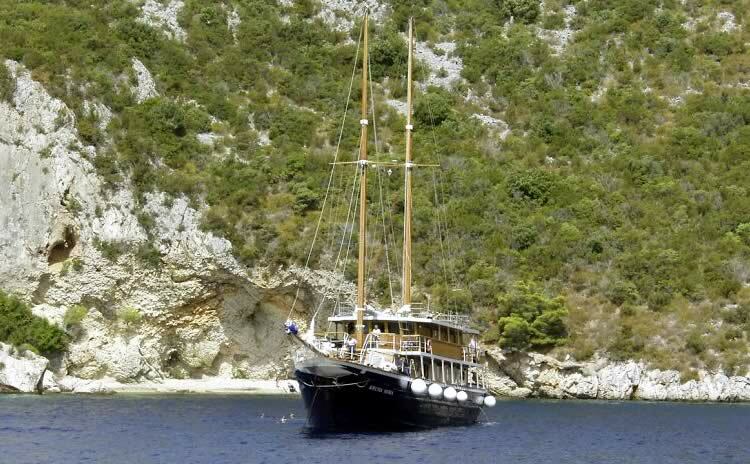 Other: 2 showers/toilet. 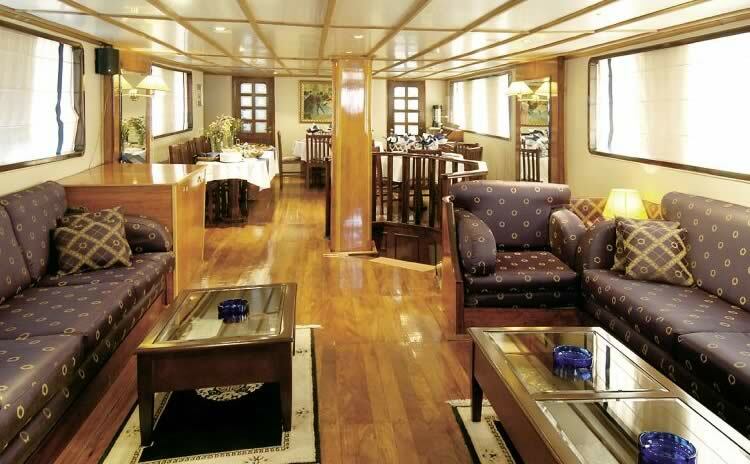 Sun deck (250 m 2 ) with 16 deck chairs, tables with benches and chairs on deck for 30 guests, saloon with air conditioning for 35 people with separated dining and lounge area.